Financial institutions are at the front lines of changing the disparity in access to basic financial services for African-American and Hispanic households. Providing products like those tested in Filene's Reaching Minority Households Incubator program can be a win-win-win for the consumer, financial institution and community. 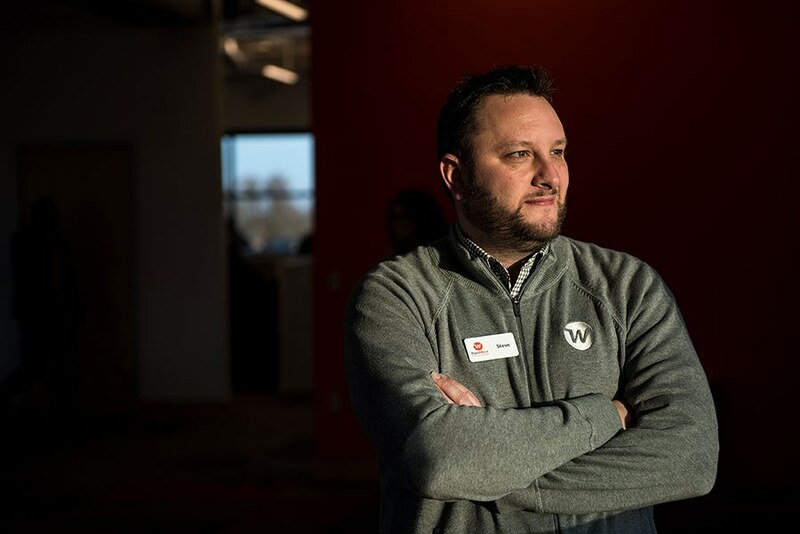 A culmination of 18-months of product testing at 40 credit unions across the U.S. and Canada has resulted in 58,000 loans issued to more than 18,000 underbanked households through the work of Filene Research Institute’s incubator. Teaming up with VISA and the Ford Foundation, the Reaching Minority Households Incubator tested new financial products designed specifically for minority households. The products are life-changing. The stories are inspiring. "But then the economy hit…"
Amy Nelson was hired by Point West Credit Union in Portland, Oregon for a specific reason: to help Point West fulfill its core value of serving the underserved, specifically to expand the array of products and services available to Portland's sizable immigrant community. 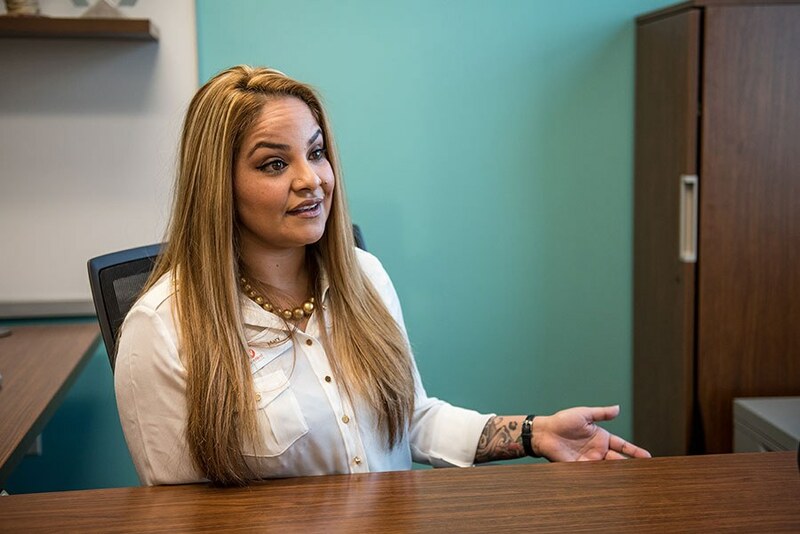 "The credit union," says Nelson, "was already well steeped in serving immigrant members," but her role as the newly hired training manager would be to "take it to a deeper level operationally." She was excited about the job of making a good thing better, and she hit the ground running. "But then," she says, "the economy hit." Point West Credit Union in Portland, Oregon, was the launch institution for the program Filene replicated during the Reaching Minority Households Incubator. 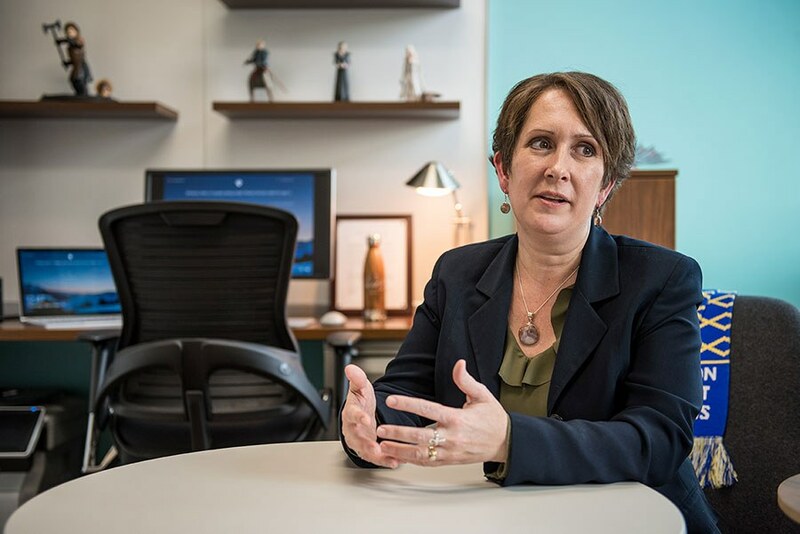 The credit union has been an ITIN lender since a merger in 2004 with Hacienda Community Credit Union, but that program had a history of losses, especially after the Great Recession. Point West successfully launched a revamped program in 2014 and has had strong results with its noncitizen members ever since. Point West, like all financial institutions at the time, was navigating dangerous territory with the objective of mere survival. According to CUNA data, there was a decline of 1,167 credit unions between 2007 and 2012. It was 2007, and signs of the Great Recession had begun to appear. Housing prices were on the decline, descending toward what would be the sharpest drop in history, and foreclosures were on the rise. Lenders focused on sub-prime mortgages began to declare bankruptcy in droves, and homeowners with underwater mortgages were following suit. Household income was declining, and unemployment was rising. For Point West and for many of its members, a time of reckoning was fast approaching. "What I had been brought on board to assist with," says Nelson, "I only got to dig into for maybe 10 months before it became about making sure that the credit union would survive for the membership." For the credit union, this meant undergoing the challenging process of developing and implementing a net worth restoration plan that would chart its course through the recession. "To say during the recession that we were not allowed to serve our immigrant community—in part just because the ITIN lending portfolio was not understood—to not be able to help those members so they were essentially having to fend for themselves during an economic downturn, was shattering for our credit union employees." The recession was a considerable challenge—for both Point West and its members—but it was also an opportunity for the credit union to rededicate itself to its core vision of the kind of institution it wanted to be when it emerged from the financial crisis. The credit union's mission explicitly prioritizes social equity and inclusion. 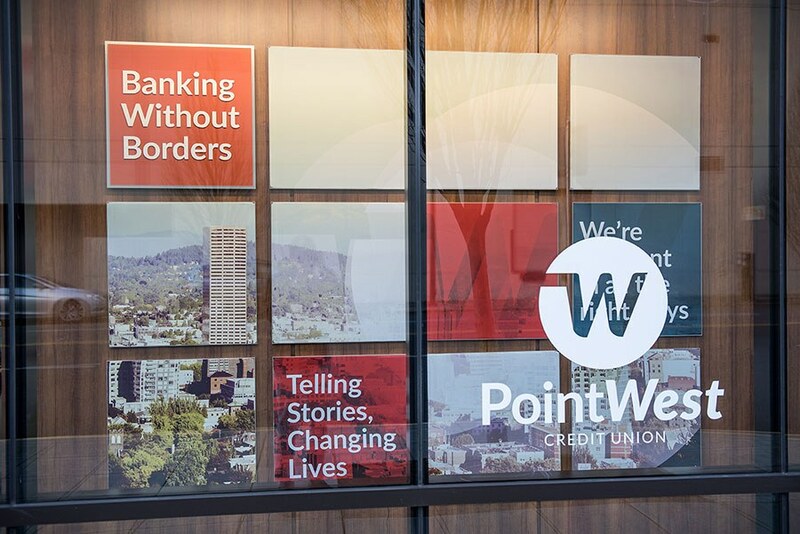 As an organization, Point West made it clear that its purpose was to provide financial empowerment to all of its members, and doing so meant actively advocating for and pursuing solutions for its non-citizen members. A reinvigorated non-citizen lending program was central to this process. Point West completed its net worth restoration plan two years ahead of schedule, and in 2014 was finally able reintroduce its ITIN lending program. "Nobody will loan to me." Many credit union members, too, needed a plan and a vision to make it through these challenging times. For Sara, it began with a family recipe. Mary Vasquez, Community Advocate, and Sara, Point West Credit Union Member, talk about Sara’s thriving tamale business in December 2017. “It’s all about loyalty. Members will never forget that you were the first person to open the door for them and give them a chance.” —Mary Vasquez, Point West Credit Union Community Advocate. Sara has been a member of Point West since 2004. Like many Spanish-speaking members, she would wait in line for her favorite teller, Mary Vasquez, who was, in 2007, the only Spanish-speaking teller at Point West (today, as a direct outcome of their strategic planning during the financial crisis, almost half the staff at Point West is bilingual and bicultural). Vasquez and Sara became familiar friends through their brief chats, talking about their lives and families. One day, Sara brought in one of her homemade tamales for Mary. It was good. Really good. The kind of good that makes you tell someone they should go into business. Sara was doubtful when Mary suggested this very idea, but she decided to give it a try. A stay-at-home mother of 4, Sara had a credit rating of 0 and no social security number. She did have an ITIN, and as a member of Point West, she had an ally. 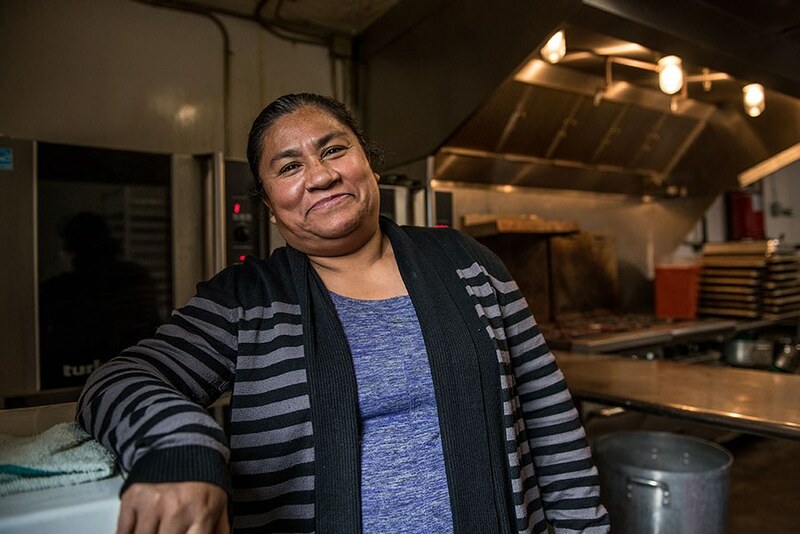 Point West issued Sara a $500 loan to pay for permits and ingredients to start her tamale business. Over the next few years, Sara received two additional micro-loans from Point West and -- just as Point West was doing -- continued to learn and refine her business model. For both Point West and Sara, an important community partner in this process was Hacienda Community Development Corporation (CDC). To overcome feelings of suspicion, a best practice that has come from the ITIN Lending program is that financial institutions should work with community partners that have already earned the trust of the noncitizen individual —churches and community centers proved to be good options, as did immigrant-owned businesses, like auto dealers. A number of credit unions partnered with the Mexican consulate as a way to connect with the noncitizen population; others worked with their local Hispanic Chamber of Commerce, perhaps as a member of their board or by helping with events in the local community. "All fingers pointed to Point West." Hacienda CDC's partnership with Point West began in 2004, when Hacienda Community Credit Union merged with Point West, bringing in about a thousand new members, primarily from the Latino and immigrant community. 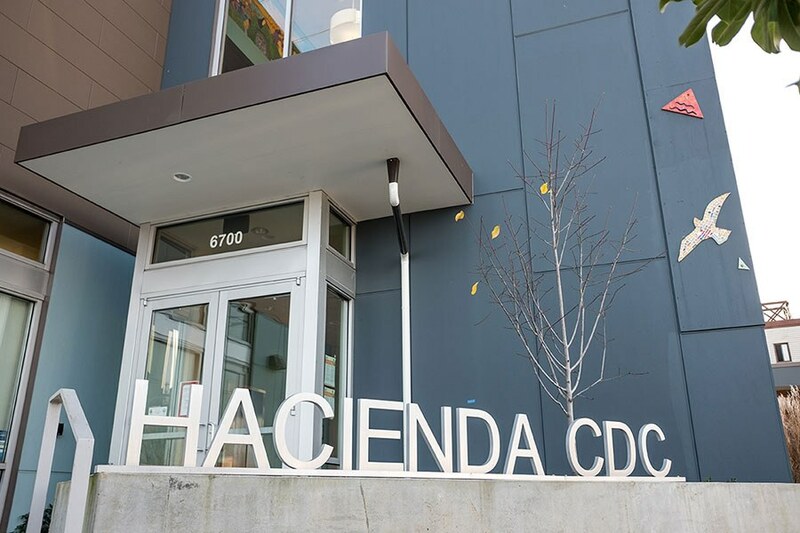 Since 1992, Hacienda CDC has provided affordable housing, financial advising, and educational support to the Latino community in Portland. Among Hacienda's offerings is a class on small-business ownership and entrepreneurship, a class that Sara attended in the early stages of her business planning. Point West knew that expanding services to members like Sara was vital to their growth and stability. The class Sara attended, along with Hacienda's first-time homebuyer education and foreclosure prevention advising, are among the services provided by the CDC that make it a valuable community partner for Point West. At the same time, Hacienda CDC was looking for ways to help its clients locate and secure loans for first-time homebuyers without social security numbers. Carlos Garcia, Director of Economic Opportunity at Hacienda, notes that often, people would attend Hacienda's first-time homebuyer's class but would be unable to secure a loan: "They would say, 'I want to buy a home. I have an income, I have the credit. I have savings. But because I don't have a social security number, I can't get a mortgage; nobody will loan to me.'" Point West Credit Union of Portland, Oregon—the originator of the ITIN Lending program—was among seven credit unions from across the country chosen to receive the 2017 Warren Morrow Hispanic Growth Fund Grants. These grants are awarded by Credit Union National Association, the National Credit Union Foundation, and Coopera, a Hispanic consulting firm. To be considered for the grants, a credit union must have less than $500M in assets and have earned a Juntos Avanzamos (Together We Can Advance) designation. This program is operated by the National Federation of Community Development Credit Unions (the Federation) and is an indication of a credit union’s commitment to serve Hispanic and immigrant communities. To earn the Juntos Avanzamos designation, credit unions must offer bilingual services and information and collaborate with community organizations that support Hispanics. Like the minority household program, the Federation works to help people of modest means avoid predatory lenders and achieve financial independence. Before the foreclosure crisis, there had been programs available for ITIN lending, but these programs had dried up. Affordable housing near the city center had become increasingly sparse as high-income earners moved in, and many residents were being pushed to look for homes up to 40 miles from where they worked and where their kids were going to school. Garcia went looking for a lender who would serve the clients of Hacienda. He had conversations with several other non-profits and community partners, and "all fingers pointed to Point West." 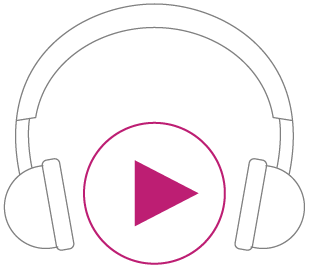 Garcia contacted Steve Pagenstecher, Vice President of Member Experience at Point West, and, says Garcia, "we were able to work with them to provide a product and provide a choice that hasn't been available in our community." Through the partnership, Hacienda CDC provides prepurchase counseling to make sure clients have the necessary credit, capital, collateral, and income. When they identify a potential client who meets the basic criteria, they call Point West and help set up a meeting with the client. Mary Vazquez at Point West stays in touch with the financial counselor at Hacienda CDC throughout the process. There were a couple of silver linings for Point West in the dark clouds of the Great Recession and the net worth restoration process. Their dependence upon community partners such as Hacienda CDC, and the strengthening of these relationships during the recession, was among these silver linings. 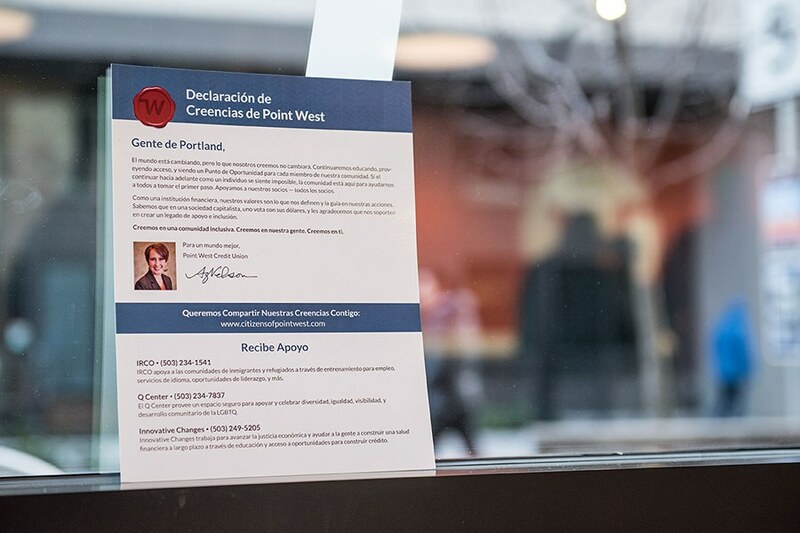 As Point West began to emerge from the financial crisis and complete its net worth restoration plan, it was able to turn to Hacienda CDC and other community partners—with expertise in immigration law, health and human services, and other areas—to develop its noncitizen lending program. "Sometimes if you don't have help, you can't do anything." In the decade since Sara took out her first micro-loan at Point West, much has changed, for both Sara and the credit union. Sara's Tamales, LLC, has taken off as a self-sustaining and profitable business. Sara has gone from a credit score of 0 to a score of 778. She has long since paid off her micro-loans and has hired an additional employee to keep up with demand. She has become the primary breadwinner for her family and is helping two of her children further their educations. In addition, Sara received a $15,000 loan through Point West's non-citizen lending program, which, combined with over $10,000 she saved in profits from her business, she and her family recently used to buy their first home. Asked what advice she would give to other credit unions looking to extend its loan portfolio to non-citizens, Sara offers this reminder: "Sometimes if you don't have help, you can't do anything." As both a provider and a recipient of help from its community, Point West, too, has thrived. From the board to the staff to the members, there is a common and widely shared understanding that the credit union is an inclusive organization that prioritizes the well-being of all of its members, including non-citizens. This clearly articulated identity has freed Point West to advocate passionately for the financial empowerment of its members and to pursue programs and policies, products and services that align with its mission. For the staff at Point West, this means going to work at a place they believe in. Mary Vasquez's job title at Point West—Community Advocate—speaks volumes. Her job is to proactively seek ways to help the members and to make sure the community is aware of the services available. For Mary and for other staff, being able to make a difference in people's lives provides a feedback loop: in helping others reach their goals, Point West's employees, too, are fulfilled. "I love going out and talking about what we do," says Mary, "even on my days off." “I STRONGLY BELIEVE THAT WE HAVE TO BE A MISSION-FORWARD ORGANIZATION. IT'S NOT ABOUT JUST PUTTING PEOPLE INTO HOMES; IT'S PUTTING PEOPLE INTO HOMES THAT THEY CAN AFFORD AND THEN BUILD WEALTH AND BE FINANCIALLY EMPOWERED." "WE HIGHLY PRIZE OUR DATA. THE DATA SPEAKS FOR ITSELF, AND IT BECOMES ITS OWN CHAMPION FOR HOW TO BUILD THE PROGRAM FASTER THAN YOU ANTICIPATE." Credit unions reported having generally positive experiences with ITIN Lending, with all (100%) agreeing that they would refer ITIN Lending to other credit unions and that members liked the program. The data showed that more than two-thirds of ITIN Lending borrowers (67%) had not been members before they received their loans—making this the second-highest program within the Reaching Minority Households Incubator for attracting new members. Return on assets was an impressive 3.81% vs. a system average of 0.75%. Despite all the progress, everyone—Amy, Mary, Steve, and Sara—seems to agree that this is only the beginning. Point West is reaching out to other financial institutions to describe its non-citizen lending program and how it can be a financially sound component of a lending portfolio. They recognize that the market is way bigger than they can hope to serve in the Portland metropolitan area alone, and they encourage credit unions and other financial institutions nationwide to take a second look at this opportunity. Download the Reaching Minority Households Incubator research. 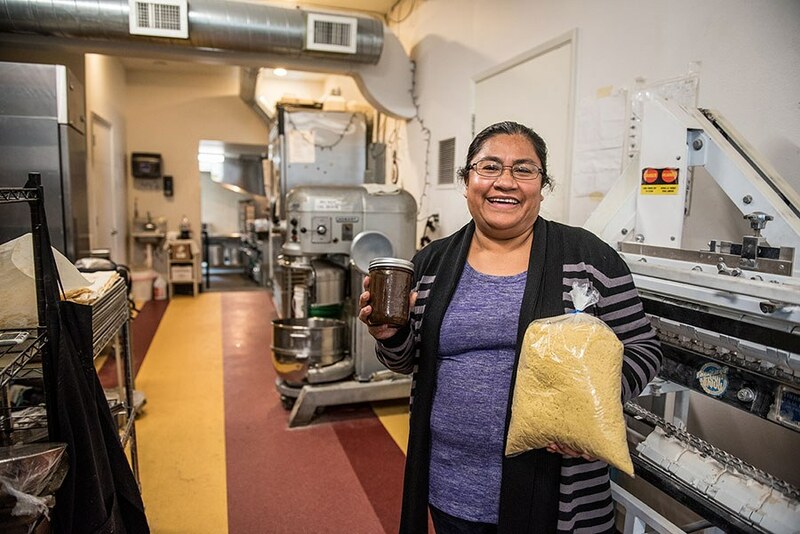 Check out the video about Sara’s Tamale business and read two other credit unions’ stories about ITIN Lending success on the tabs above. Bring the ITIN Lending Program home to your credit union with the ITIN Lending Implementation Guide. And Sara? "Right now," she says, "my goal is to pay off my home loan to Point West and then take out another loan to do my own restaurant." She's on the lookout for locations. Along with Sara's A+ credit rating and impeccable loan payoff record, Point West has an additional incentive to offer the loan: the location she's currently looking at is a 3-minute walk from Point West's front door! Wakota Federal Credit Union is named after a bridge. The Wakota Bridge spans the Mississippi River, connecting Washington and Dakota Counties in South St. Paul, Minnesota. The Minnesota River joins the Mississippi just west of the credit union's main office, and together, the rivers form an arc defining the northern boundary of Dakota County, the credit union's service area. A straight line from the headwaters of the Mississippi River at Lake Itasca to its confluence with the Minnesota River is about 200 miles. But the Upper Mississippi doesn't do straight lines. Packing 500 river miles into that 200-mile straight line, and joined by other streams along the way, the river changes its course to navigate around, over, or through obstacles. It adapts to the terrain. And like the rivers that define its service area, Wakota Federal Credit Union has also adapted. Asset Size (as of June 2018): $30,147,079. Membership: 4,237 members; 11.5% Hispanic. The Twin Cities metropolitan area is not only flush with abundant water resources, it is also one of the leading banking centers in the country, with more than $500 billion in assets held by banks headquartered in the area (according to the Charlotte Observer), including U.S. Bancorp. Nationally, the credit union landscape is also competitive, with 5,644 credit unions and more than $1.4 trillion in assets nationwide (according to CUNA, Q1 2018). In this environment, with its single branch and $28M in assets, Wakota Federal Credit Union is a drop in the bucket. The board knew that differentiating itself would be critical to Wakota's success. During a 2012 planning session, someone pointed out that despite being awash in financial activity and lending services, pockets of the area were starkly underserved—financial services deserts—where local residents struggled to secure access to basic services such as auto loans. One such location was the city of West St. Paul, in the heart of Wakota's service area. The board saw an opportunity to provide much lower auto loans than were currently being offered while also expanding their membership and their loan portfolio. Dakota County is not unique in its disparity of access to financial services. According to the 2015 FDIC National Survey of Unbanked and Underbanked Households, 45.5% of Hispanic and 49.3% of African-American households were unbanked or underbanked (a designation often employed to convey financial fragility). Wakota recognized a need within in their own community to serve these households, and other credit unions can, too. Download the “Reaching Minority Households Incubator” Report to get started now. In the Hispanic community, in particular, it has been challenging to secure reasonable auto loans. In addition to the language barrier that is commonly encountered, financial institutions have been intimidated by the challenge of issuing and underwriting loans to non-citizens. In fact, when Wakota initially began exploring the potential to serve this community, they were advised against it by other institutions, which asserted that such loans were too risky. But Wakota persisted. They contacted multiple dealerships in the area and began issuing indirect loans, in which borrowers would close the loans at the dealership and Wakota would serve as the underwriter. Initially, this approach seemed to be working well; Wakota was bringing water to the parched lending landscape. But there was a hole in the bucket. "We took some big losses," confides Mary Matheson, Wakota's CEO. One of the biggest problems was questionable dealer purchase agreements and falsified documentation. The credit union was overly reliant on the dealerships to vet potential borrowers, and they paid the price with a high default rate. In addition, Matheson continues, "when word got out that we offered non-citizen auto loans, we began receiving applications from dealers we did not partner with. We did not anticipate the non-member volume of loans from various dealers and just didn't educate ourselves on how to be more cautious on this type of application." 22.4 million people, or 7% of the US population. 10.3 million are under age 35—which is extremely important given the continuing graying of the credit union membership base. 60% are employed full time and year-round. 75% are in the labor force, either part time or full time (US Census Bureau 2015). Rather than abandon the project completely, however, Wakota adapted. Matheson decided to put the project on hold for six months to give the credit union a chance to reassess their approach. It was clear that their underwriting policies needed to be adjusted to reduce risk, and one of the key changes Wakota made during this time was to require potential borrowers to come to the branch to close the loans. This simple but essential change not only allowed the credit union to verify the creditworthiness of applicants, it also gave them valuable face time during which to introduce potential members to the other services and benefits of membership in the credit union. The language barrier, however, remained a considerable challenge, and hiring Spanish-speaking staff became a priority. In addition to their new underwriting and loan-closing guidelines, Wakota saw the need to establish a strong partnership with a trusted local auto dealer serving the Hispanic community in West St. Paul. Enter Gloria Gonzalez. The owner of Gloria's Downtown Auto, Gloria moved her business accounts to Wakota as part of her efforts to keep her business local. Wakota was close to Gloria's both geographically and philosophically, and Gloria is a strong believer in the credit union philosophy of being community owned. A large contingent of Gloria's customers are Hispanic, including many non-citizens, and she inquired into whether the credit union does indirect lending or other financing for auto loans. This was right around the time the credit union was exploring expanding its auto loan program to cater to ITIN (Individual Taxpayer Identification Number) holders. A partnership was born. Gloria Gonzalez, owner of Downtown Auto, with her employee Jose Rojas. Overcome feelings of suspicion within your community by working with partners that have already earned the trust of the noncitizen prospect. Churches and community centers are good options, as are immigrant-owned businesses like auto dealers. Consider partnering with the Mexican consulate or local Hispanic Chamber of Commerce to recruit potential board members or to help with events in the local community. Gloria's has been a key partner for Wakota in creating a successful non-citizen lending program. Gloria and office coordinator Jose Rojas have provided "a lot of insight into the Hispanic non-citizen community and what that demographic is really looking for," says Matheson. Many potential borrowers had sufficient money for down payments and long-standing and well-paying jobs, but "communication was an issue." Point West Credit Union from Portland, OR, shares their lessons learned. "One in ten of our members is an ITIN member, and one in five is bilingual. That is our membership; this is who we serve... When I first started at Point West, only [about] 12 percent of our staff was bilingual/bicultural, and today it's over 40 percent. [Developing] those backbone support tools for the membership takes a lot of time and hard work. That's where the strategic planning and the workforce planning comes into play." For Wakota, building the bridge to the underserved Hispanic community in West St. Paul would have been much more challenging without Gloria and Jose. Although it is a for-profit business, because of Jose and Gloria's commitment to the community, Gloria's Downtown Auto plays an outsized role in community outreach and networking. Among the many ways in which Jose goes above and beyond his role as an auto dealer, he often accompanies borrowers to the loan closing at Wakota, making sure they know how to get there, serving as a translator, and even describing the other services offered by the credit union. Patty Koran, Wakota's vice president, jokes that she wants to hire Jose as a loan officer, though she hopes Gloria's never loses him. Both Gloria's Downtown Auto and Wakota Federal Credit Union know that good customer service equates to returning customers. It's a two-way bridge. If Gloria's runs into an issue on a loan, Jose says, they can call and talk to someone at Wakota "instead of calling a call center." At the same time, Jose does a lot of the preliminary legwork in terms of determining whether a customer meets the lending criteria before referring a potential borrower to Wakota. And employees at both Wakota and Gloria's feel good about making a meaningful difference in people's lives by putting them behind the wheel of a much-needed, reliable vehicle. 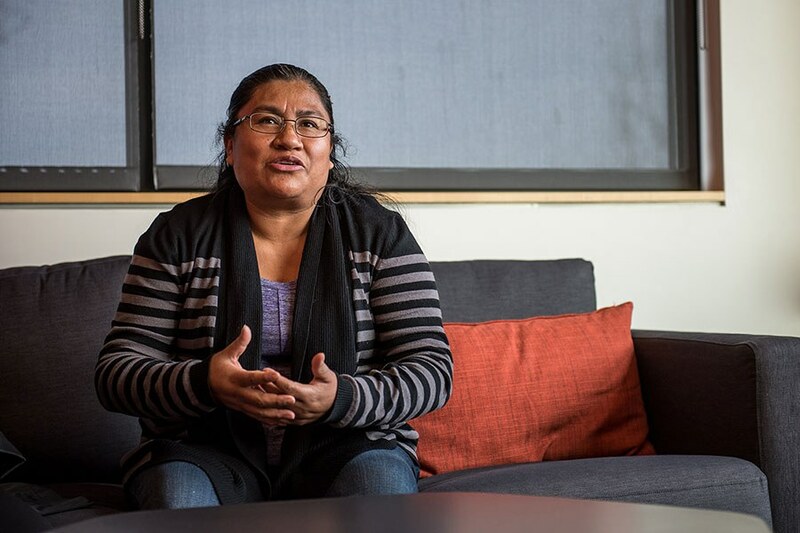 Having worked two jobs to make ends meet when she first came to the U.S., Gloria knows what it's like to have very little. She tells the story of a customer who always took the bus and didn't have much money, but she wanted to get a car. She and her husband both worked for minimum wage. Gloria's tried to work with them to get a loan. The couple didn't have the whole amount for their first payment. "So I put in the difference out of my own money because I wanted them to keep their car. I didn't want them to go back instead of forward." In the end, the couple did not default. They paid off their loan. Jose smiles when he sees them washing their car and taking care of it to this day. Knowing how hard it can be, Gloria often explains to customers the value of having credit. She had a customer who was resistant to borrowing, but she talked to him about the benefits of building credit. He took out a loan for a $10,000 car. He came back a few years later to buy a car with his son, and he thanked Gloria, saying he owns his own house now because of her advice about building credit. Both car loans were underwritten by Wakota. "...when someone can come here, and I can do something that [another financial institution] can't, that's what makes it really fun for me. I can go home and think, 'That person may not be driving a car today if it wasn't for me." Both the value of earning credit and the pride in doing meaningful work are echoed by the staff at Wakota. Lowell Poesch is the director of lending at the credit union. The entire department has three employees, so each does some of everything. If Lowell is unable to approve an applicant for a loan right away, "I can tell them what steps they need to take so they can get a loan someday. That, to me, is the satisfying part." He might, for example, suggest that a collection be paid off before coming back in to apply for a loan. And on numerous occasions, Lowell has had members return, having followed the steps he laid out, "and they hold me to it!" For Lowell, who previously worked at a bank, it is this commitment to the members that highlights the credit union difference. "You...go out of your way to try and help someone. Our customers aren't sales numbers that we're trying to meet quotas on, but we're actually trying to make a difference to them." Among those for whom Wakota has made a difference are Mariana and her husband, Luis. Several years ago, the couple bought a van from a local dealer. As for millions of families, routine tasks like taking their daughters to school, getting to work, and grocery shopping could become excessively difficult challenges without a vehicle. However, Mariana and Luis were paying 21% on the loan they received through the dealer. A friend told them that they might be able to get a lower rate from a bank. They drove by Wakota and decided to give it a try. The couple went in and sat down with Lowell, and he said, "Yeah, we can help you. We can do that." Already, with those words, Mariana and Luis had experienced something new. They had tried at other banks, and none of them would lend to someone without credit. But Wakota "gave us an opportunity, and it was wonderful." Wakota has found that it can meet its members' needs without sacrificing sound business practices. Creative underwriting need not—and should not—mean ignoring red flags. Instead, Wakota has developed alternative means of risk assessment, such as down payment and income-based measures, rather than leaning too heavily on a credit score. The low default rates on these loans have verified this approach. For Lowell's part, finding a way to offer the loan required a slightly different approach than usual. The couple didn't have any credit, but they had made a large down payment when they bought the car, and both had steady incomes. Lowell confirmed that they had never missed a payment on their current loan, and in the end issued a loan at 14%, a considerable reduction from the 21% they were currently paying. What Lowell didn't realize when he first met the couple was that they were non-citizens. The loan was issued based on Luis’s ITIN. Mariana and Luis have been members of Wakota ever since. Wakota provided a loan with a payment schedule they could afford. And, says Mariana, "It was perfect." Their monthly payments decreased from about $365 to $250. "That was money we could use for other things," she says. When they had paid off the van, they looked into a vacation loan from Wakota. They hadn't been on a vacation for 8 years, so they took their daughters to Disney World. "It was amazing!" says Mariana. As for future plans, Mariana says that she and her husband are working to build credit to be able to buy a home. 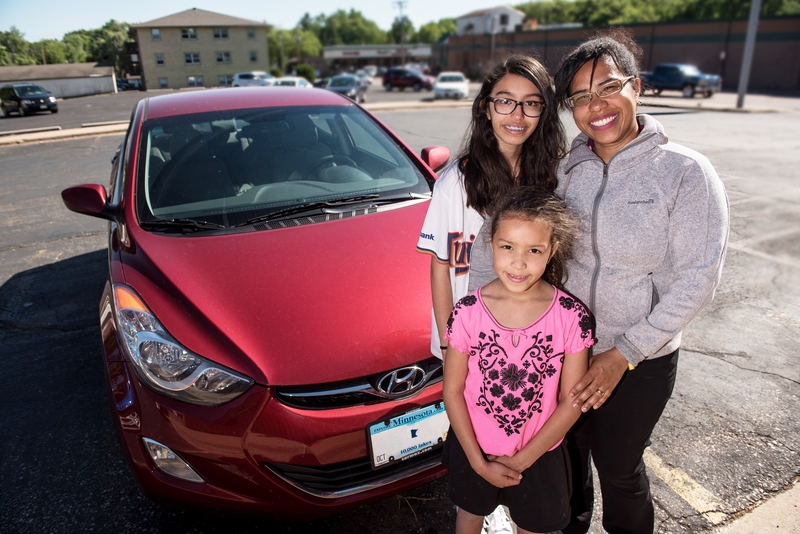 In addition to providing the auto loans, which are helping Mariana and Luis build credit, Wakota has advised them on healthy credit-building practices and provides secured credit cards to them and other members. Mariana has referred family members to Wakota, and her nephew, sister and brother all have loans now through the credit union. Asked about advice she would offer to other credit unions wanting to work with non-citizen borrowers, Mariana replies that in addition to the favorable rates offered by Wakota, it feels like a "family relationship." When she visits the branch, people call her by name and ask about her daughters. Also, having Spanish-speaking staff is "absolutely helpful." For Mariana, a reliable set of wheels at a reasonable cost was life-changing. But the chance to take her daughters to Disney World may have been just as meaningful. For those keeping score, the youngest daughter reports that her favorite princess is Belle, who, in a sentiment echoed by many aspiring young people, sings "I want adventure...I want so much more than they've got planned!" She recalls a day when Luis was at the counter and was struggling to get himself across in English. From a neighboring teller, he heard the words "I can help you" in Spanish. This was Maricruz Madrigal, who had recently begun working at Wakota. Mariana says her husband sighed with relief and smiled. "I meet a lot of people who are immigrants here in this country and work hard and they don't have Social Security number but have ITIN numbers and they want to live best. They want to buy. And they are very responsible to pay. And maybe if they have that option it’s going to be really good for immigrants." Like Lowell, Maricruz says that her favorite part of her job is "helping out the members." She enjoys translating for those who don't speak English and making sure they get their questions answered and understand the products and services offered by Wakota. Maricruz was the first bilingual employee at Wakota. When she describes Wakota's products and services and tells members that they'll get fair rates and won't have to pay a lot of the fees that other banks have, she says the members "get excited." And this excitement is contagious. The word is spreading in the Hispanic community, and Wakota's membership is growing as a result. The data showed that more than two-thirds of ITIN lending borrowers (67%) had not been members before they received their loans—making this the second-highest program for attracting new members. Return on assets was an impressive 3.81% vs. a system average of 0.75%. Read the full “Reaching Minority Households Incubator” Report. Maricruz describes how there is fear in the community about approaching institutions like banks. The fear is not just among undocumented immigrants who might be afraid to expose themselves, it is also among those who do have green cards or even citizens who may feel intimidated by cultural barriers or of being perceived as ignorant. Not only are they happy about getting a loan, but, Maricruz thinks, they may become less intimidated about interacting with institutions in other arenas: "they get more motivated to go out and learn more stuff." Maricruz is happy that her work makes a difference, and she can relate to many of the members who have struggled to secure financing. She herself was an undocumented immigrant, eventually getting a work permit through the Deferred Action for Childhood Arrivals program. "I know people who don't have documents," Maricruz says, "so they have cars under other people's names or they take the bus, or they carpool. I think it's really, really nice for us to give the opportunity for them to get their own vehicle." "I'm proud of being an employee here. I'm really proud to work here. And you know, knowing that we're helping, and I can relate. It's just really nice, and I'm super proud of it." In recent years, through its efforts to serve the underserved communities in Dakota County and to reach out, in particular, to the non-citizen members of its community, Wakota Federal Credit Union has re-established itself as a vital part of a growing network of local businesses and individuals. Like its namesake spanning the Mississippi River, Wakota has become a bridge. 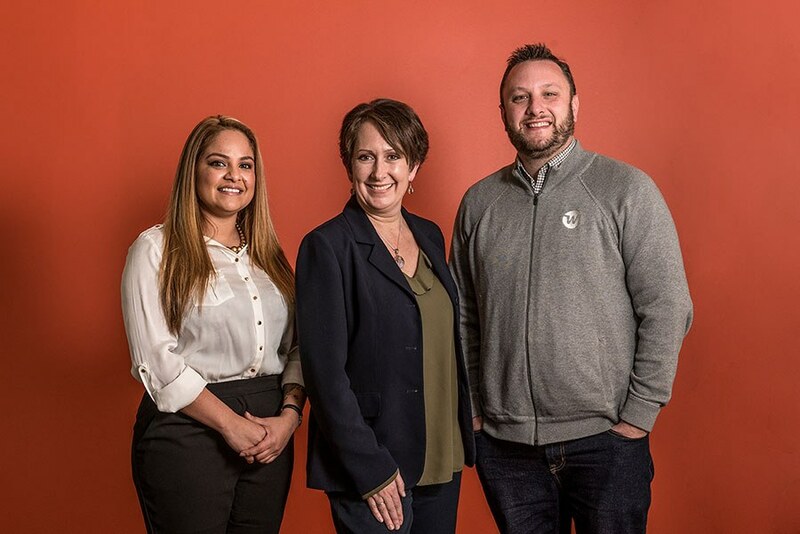 By providing fair and customer-oriented financial services, Wakota has helped to link the underserved Hispanic and immigrant community to the sound financial footing enjoyed by others in the Twin Cities metropolitan area. Wakota has seen its membership increase and has a healthy balance sheet, and, equally importantly, has become a trusted household name in the community. In the shadow of one of the largest banking markets in the country, and surrounded by Minnesota's most powerful rivers, Wakota is a small but reliable wellspring of trusted financial services. Read the other credit unions’ stories about their ITIN Lending success on the tabs above. The Wakota Bridge is a ten-lane bridge on Interstate 494 between South St. Paul and Newport, Minnesota across the Mississippi River, replacing a four-lane span built in 1959. The name was given to the previous span in the early 1960s, and is derived from the two counties it connects, Washington and Dakota. 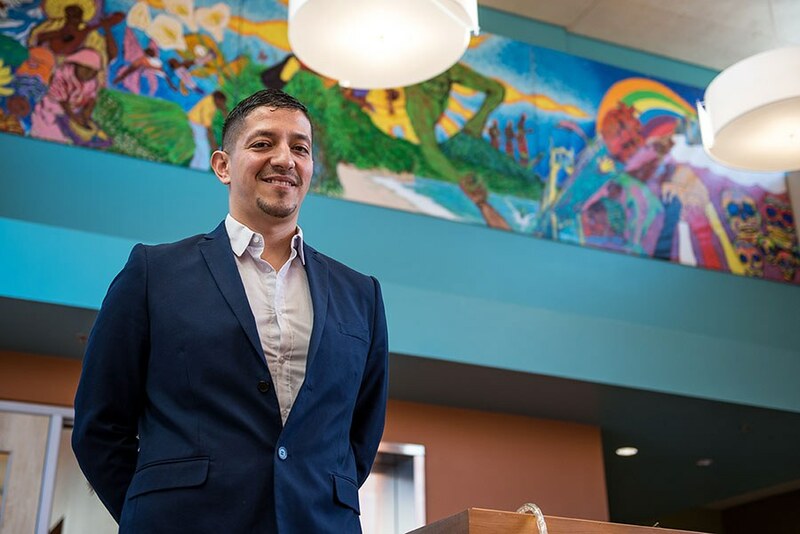 Much like a bridge that has the power to join two lands, Wakota Federal Credit Union’s work stretches across communities and cultures and has built a bridge to financial success for the Hispanic community in South St. Paul. Samuel and Jim have a lot in common. They both enjoy their work, file their taxes on time, and can grow a garden in their front yard. So what, you may be thinking, but because both are also part of the Illiana Credit Union community, and thanks to the Individual Taxpayer Identification Number (ITIN) Lending Program offered by the credit union, Samuel, like Jim, owns his own home. Samuel first heard of the program while on the job at Chicago Heights Steel. Though it was only a few blocks from his work, Samuel had never heard of Illiana Credit Union before Carmela Osornio visited the factory to introduce the program. Samuel did his banking at a large financial institution, but he had struggled to secure an affordable home loan. Like many of his neighbors and coworkers, Samuel had just about everything a first-time homebuyer needs: a long-term history at a good-paying job, a decent credit history, money for a down payment. What he didn't have was a social security number. For Samuel, as for many others in the community, and for millions nationwide, the difference between a social security number and an individual taxpayer identification number was the difference between an affordable mortgage and remaining a renter. It was the difference between a fair auto loan and needing to save enough cash to buy a car outright, between establishing credit through a secured credit card and facing the predatory environment of payday lenders. For many potential borrowers, it has meant the difference between treatment as an "alien" and treatment as a neighbor. Samuel wanted to plant roses by his own front door, and he needed an affordable loan to make that happen. Why Is the Noncitizen Segment So Important? For noncitizens aged 25–34, 60% are employed full time and year-round, and 75% are in the labor force, either part or full time (US Census Bureau 2015). As of August 2012, the IRS had assigned 21 million ITINs to taxpayers and their dependents. In 2010, over three million federal tax returns were filed with ITINs, which accounted for over $870M in income taxes (National Immigration Law Center 2017; Treasury Inspector General for Tax Administration 2011). In the same year, over three million unauthorized workers, including ITIN filers, paid over $13B into Social Security (Goss et al. 2013). Jim Henmeuller is the CEO of Illiana, a position he describes as being "an advocate for the membership." When he heard from credit union staffers that there was an unmet need for loan products for residents, members of his community and potentially neighbors without social security numbers, he knew that Illiana not only could, but should, provide a solution. The credit union's tagline is "Your door to opportunity," and in the problem faced by Samuel and others in his situation, Jim saw an opportunity for both the credit union and potential members like Samuel. "Credit unions are chartered to service their members or their community," says Henmeuller, "and it was obvious that there was a need in our community." Illiana gets its name from its service area—the states of Illinois and Indiana. With four branches—in Chicago Heights, Bourbonnais, Naperville, and Calumet City—Illiana currently serves about 25,000 members. According to the Pew Charitable Trusts, there are 28 states, including Illinois, with "permissive" regulations governing payday lending. In these states, the APR of payday loans typically ranges from 391% to 521%. In the immediate community of Chicago Heights, over a third of the population is Hispanic, including many residents with ITINs. "Payday lenders and used car dealers and mortgage brokers have been taking advantage of this population for years," Henmeuller notes, "and my philosophy has always been to run the credit union for the members, not for the regulators." The idea was to start by developing a program to provide holders of ITINs with loans at reasonable rates and then make sure the program complied with regulatory and auditing requirements. because we're not out of compliance in any way with a general loan product for purchasing a home. We just have underwriting requirements that allow for verification of income and other factors by alternate methods." To Henmeuller, "[a credit rating of] 'A doesn't mean approved, and D doesn't mean denied.' There's a different story behind every member." Having this flexibility to evaluate applicants on a case by case basis, to hear their whole story and make an informed decision based on more than simply a credit score or a certain number of check stubs, has been a hallmark of Illiana's ITIN lending program and a cornerstone of its success. But this unorthodox approach raised questions, among both staff and the board; in particular, "What about the risk?" Illiana has taken multiple approaches to managing risk. First, they set aside a specific amount of money—$10 million—for the initial roll-out of the program. This allowed them to pursue the program while limiting the initial capital outlay to a reasonable level. Second, they worked carefully with their auditors and underwriters to ensure that, despite being unorthodox, their methods for verification of income and risk evaluation were sound. At Chicago Heights Steel, railroad tracks are melted down and reformed into new products. One of their specialties is sign posts. There was no template for the kind of ITIN lending program Illiana wanted to develop; like steelworkers, they had to shape their product from raw materials. In the process, they, too, have created sign posts that can help guide other credit unions and help more credit union members get into houses with front yards that can grow roses just like Samuel’s. It’s okay to start small . . . but not too small. It was logical for participants to want to test the waters before going all in on a new program, and some of the credit unions, especially very small ones, started their program with something simple, like unsecured personal loans. Limiting the ITIN Lending portfolio to certain types of loans, a number of loans, or a dollar amount were all ways to minimize risk as the program rolled out, but financial institutions should be aware that very small loans could limit uptake. Consider the loan size that’s historically been a good fit for your institution and plan accordingly. Go all in. As mentioned earlier, a number of the credit unions hesitated to dive into the program, given the political climate at the time of launch and testing. Many credit union testers feared it looked like they were taking a stand on a political issue, and this was especially problematic when there wasn’t alignment between the board and credit union staff. Not surprisingly, these credit unions had either no loans or very few loans. Partner, partner, partner. It was not unusual for a credit union to be viewed with suspicion or for a prospective noncitizen member to feel the credit union’s offerings were too good to be true. Many of these prospects had limited or no exposure to traditional financial institutions or had had a bad experience with one. To overcome these feelings, financial institutions should work with community partners that have already earned the trust of the noncitizen prospect—churches and community centers proved to be good options, as did immigrant- owned businesses, like auto dealers. A number of credit unions partnered with the Mexican consulate as a way to connect with the noncitizen population; others worked with their local Hispanic Chamber of Commerce, perhaps as a member of their board or by helping with events in the local community. Recognize the importance of word of mouth. The noncitizen population—regardless of the country of origin—tended to place a high value on community and the recommendations of fellow noncitizens when selecting products and services. Many noncitizens were unbanked in their home countries, and it was not uncommon for them to express incredulity at the availability and affordability of credit union financial products and services. Although credit unions have used other channels successfully, most have found word of mouth to be the most valuable. More than two and a half years after offering the first loan under the home equity purchase program, there have been zero delinquencies. "We saw a need," says Jim Henmeuller, "and we knew that we could make it a win-win situation. If we could provide affordable financial products for the people in the community, it'd be a win for them, and if we managed the risk well, [it would] be a win for us. And so far, it's worked that way." According to Carmela Osornio, "[The members] are grateful ... that they have somewhere to call their home. And some of them are paying less for their mortgage, including homeowner's insurance and property taxes, than they were renting. One gentleman was paying $900 for rent, and his mortgage is $680 right now, and that's including principal and interest, property taxes and homeowner's insurance." But what about the bottom line? Illiana, like most credit unions, really has two bottom lines: the financial well-being of its members and the well-being of the credit union itself as a financial institution. The program has been successful on both counts. "The numbers have shown," says Shaleva, "that the risk is small compared to the reward. We've got a lot of happy members, and we have happy staff. The morale has changed a great deal because they can offer something to people that need it rather than turn them away." Staff enjoy working for Illiana because they feel like they are making a difference in people's lives. "Credit unions can do that," Anna continues, "They can put the focus where it belongs: on the member. ... Our focus is on the member. It always has been, and it always will be. And that's what I enjoy about my job." Marisela Zambrano, director of business development at Illiana, echoes this sentiment: "I take pride in helping and hearing the stories about people and how we made a difference." In fact, Zambrano notes, there has been an increase in the number of people applying to work at Illiana: "people want to be involved with helping the community. They see what we do, and they want to be a part of it." With the framework for the loan program established, Carmela Osornio, Loan Officer II, who speaks Spanish and grew up in the Chicago Heights area, was charged with publicizing the program and served as the sole loan officer. She was nervous at first about the challenge, but "as soon as I started to get more into it and more involved, I said "I think I want to do this. This sounds so cool. Knowing that I was able to help out was an amazing feeling." One of her first presentations was to the employees of Chicago Heights Steel. "It's a big difference. It's a great change." When Samuel first visited the Chicago Heights branch and sat down with Osornio, he wasn't sure what to expect. He had compared the rates being offered for home loans by multiple institutions, including his current bank, and was not encouraged. He had also found it difficult to get his questions answered at the other financial institutions he'd visited. At Illiana, he was in for a pleasant surprise. "They explained very well," says Samuel, "And when I came in, she explained to me again everything that she explained to [my wife]. So, I say, 'These people have the time to do these things.'" The digs were not fancy. Osornio didn't even have an office. She simply stepped out from behind the tellers' counter, shook hands with Samuel, and showed him to a seat in the waiting area, where she spent the next hour going over the terms and conditions of the loan program in detail. The details? Clear and reasonable approval requirements that he knew he met, a rate that was 4% lower than the rate offered by his current bank, almost no closing costs, and a sense that Illiana was the kind of financial institution where he would feel valued. A few weeks later, Samuel received his loan, for $80,000, at a rate of 4.88%, and he and his wife moved into their new home shortly thereafter. Being a homeowner, Samuel says, "is a big change because you feel free in your house. ... My wife likes to decorate the house, and now she can do everything [without a landlord telling her not to], so it's a big difference. It's a great change." One question Illiana had early on was how to advertise the program. They need not have worried. Word spread quickly about the program, from neighbor to neighbor, among friends and family and coworkers. And aside from Osornio's initial site visits to workplaces like Chicago Heights Steel, Illiana did almost no marketing of the program initially. It turned out that a lending program that offered competitive rates and did not require a social security number, that was based on underwriting requirements that took into account members' whole stories to evaluate risk, and that was explained by staff who took time to carefully explain the program's requirements essentially marketed itself. "when people find out about Illiana, word of mouth spreads so quickly. Illiana provides an option. A good option." Marisela Zambrano describes how she was cutting the grass her front yard when a new neighbor came over to introduce himself. Marisela was wearing an Illiana t-shirt, and the man said "Hey, you're the ones who lend to the ITIN market!" The man told Marisela an all-too-common story about how he had been taken advantage of by an auto dealer who had tricked him into paying a $7,000 financing fee for a car that he had paid for in full and in cash. She explained that when Illiana issues an auto loan, they make sure to research the value of the vehicle and that there are no hidden fees or scams like this. She gave him her card and told him to stop in and see how Illiana could help. "That's why when [people] find out about Illiana, word of mouth spreads so quickly," Marisela says. "Illiana provides an option. A good option." In fact, word of mouth brought in more business than Illiana could handle. Samuel's loan was among the first of 65 loans that Carmela Osornio would approve through the ITIN lending program, reaching the $10 million cap in six months. Carmela was busy. She remembers telling a coworker, "I think I need rollerblades." The hard work paid off. "The equity position of our members is better than it was before, and we're providing a service to the community," Jim Henmeuller points out. "We've had more defaults [on loans to members] with Social Security numbers" than with the ITIN lending program. The success of the ITIN lending program has not only changed the lives of members like Samuel, it has revitalized the credit union, bringing in more members and contributing meaningfully to Illiana's financial well-being. The Chicago Heights branch has been remodeled. Carmela Osornio has an office now! It would be a stretch to credit the ITIN lending program exclusively for the success Illiana has had in recent years, but it has clearly played an important role. Without the program, says Osornio, "this [could] have just been another closed-down credit union or another [vacant] building in the area, and that was the whole purpose, to revamp this branch and let it shine." Samuel in front of his rose bushes. Like Samuel in his job at Chicago Heights Steel, the staff at Illiana work hard but enjoy their work. "I feel I'm relaxing when I'm working," says Samuel, and it is not uncommon for Samuel and his coworkers to stop by Illiana's Chicago Heights branch after work. They come to deposit their checks and make payments on their loans, but they also come to chat with staff and with one another about their lives. There is, as both Samuel and Anna Shaleva describe it, a family feel to these interactions, a bond that, as Shaleva puts it, "Once you establish it, it's not going away." If you're in the neighborhood, you might see Samuel in his front yard. Chances are, he'll want to show you his roses. He'll probably also be happy tell you where you can get a competitive loan with a credit union he trusts.